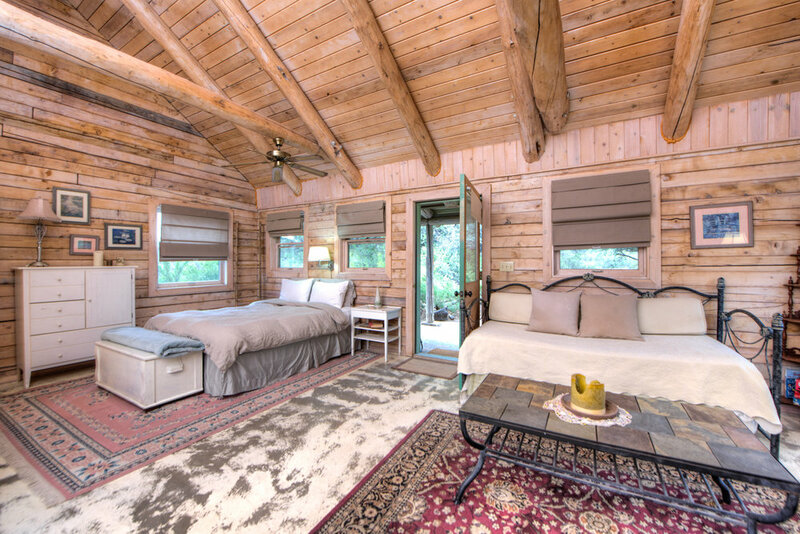 The Manzanita Manor beds include one king, 4 queens. Cabin Includes: All cotton bed linens, towels, soaps, bath salts, a commercial stove, microwave, refrigerator, all necessary cookware, tableware, glassware, dishes, and basic spices, in addition to coffee, a coffee maker, an outdoor gas BBQ, and firewood. Nestled in the trees and built from beautifully restored timber is the perfect mediation between indoors and nature; Granite Rose is the perfect size and set up for a couple or small family. The warm interior features two loft-style beds, one downstairs and one the in lofted space above which also holds a rocking chair if little ones are to be rocked to sleep. The bathroom is roomy and luxurious with a tub/shower duo and plenty of storage space. The kitchen is fully equipped for all cooking needs and the living area is an ideal space for warm gatherings or energetic game nights. Enjoy the surroundings from the front porch Adirondack chairs while you sip your coffee or tea. Granite Rose welcomes you and yours. Purple Sage has one queen bed with and a twin day bed with twin trundle. Cabin Includes: All cotton bed linens, towels, soaps, bath salts, a 4 burner stove, microwave, refrigerator, all necessary cookware, tableware, glassware, dishes, and basic spices, in addition to coffee, a coffee maker, an outdoor BBQ, and firewood. 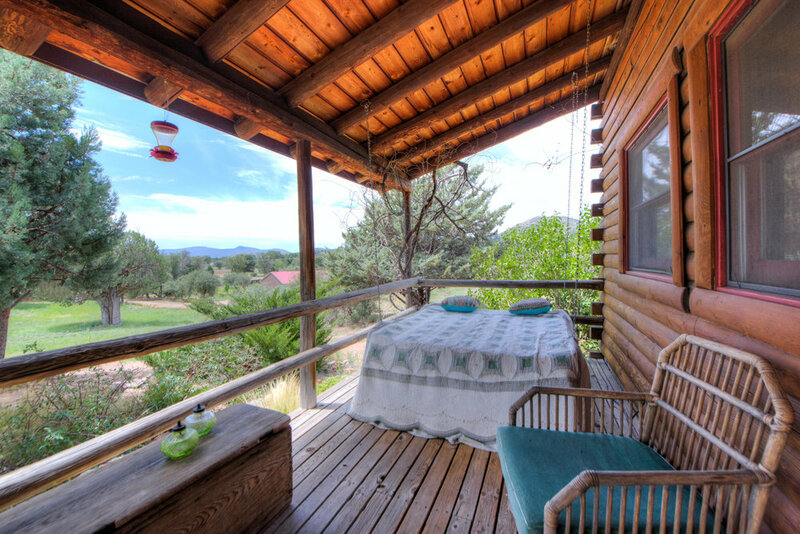 The Adobe cabin has one queen bed, one queen futon, and one twin bed. Cabin Includes: All cotton bed linens, towels, soaps, bath salts, a 4 burner stove, microwave, toaster oven, refrigerator, all necessary cookware, tableware, glassware, dishes, and basic spices, in addition to coffee, a coffee maker, an outdoor BBQ, and firewood.